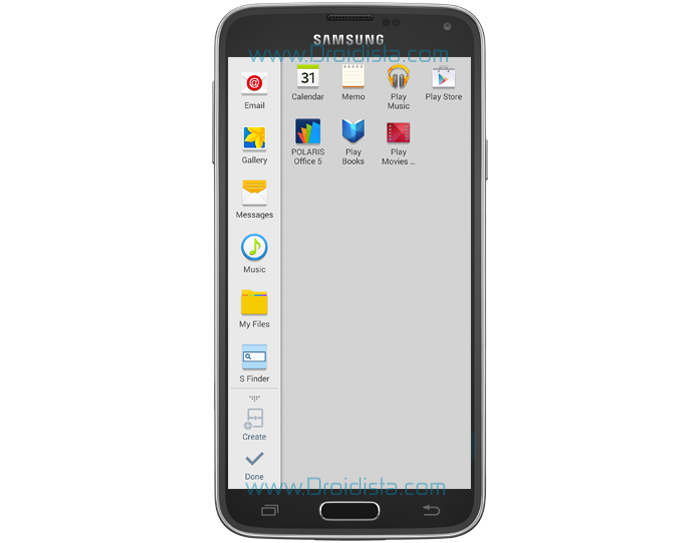 This guide will walk you through enabling and using the Multi Window Mode on the new Samsung Galaxy S5 so you'll have the true sense of multitasking when using your phones. While techie owners may have already mastered this feature, this post goes to people who are still trying to learn the ins and outs of the device. The Multi Window Mode will allow owners to easily perform multiple tasks while staying on one screen. For example, you can play a video while composing a message, browse the web while checking your emails, etc. This feature is exclusive to Samsung flagship smartphones and the company already made a list of commonly used apps and made them available in the Multi Window tray. Step 1: With your two finger slightly apart, swipe from the top of the screen to the bottom. Step 2: The Multi Window icon should be visible now; it's on the second row of icons. Touch it to turn the feature on. Step 3: With the Multi Window now turned on, you can easily hide and/or display the Multi Window tray by tapping and holding the Back button for about two seconds. Step 1: To start using the Multi Window, open the tray by touching the drawer on the left edge of the screen. Step 2: Again, there are already default apps placed on the Multi Window tray, drag an icon from the tray to the portion of the screen you want to open the app. By default the screen is divided into two; upper and lower portions. Step 3: You can resize the window by touching and holding this icon , and then dragging up and down the Resize icon. -- touch this icon to swap position of windows. -- touch this icon to drag and drop a paragraph of text or screenshot from one window to another. -- touch this icon to close selected window. I hope this post can help you master the Multi Window Mode on your Samsung Galaxy S5.